‘This government wants young unemployed people to emigrate or act as cheap labour on dubious job activation schemes’. 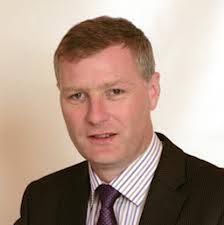 Sinn Féin General Election candidate Cllr Martin Kenny has said the government has left young people ‘out in the cold” in Budget 2016. “It has been clear for a while now,” he said, “that this government have been targeting people through ageist policies. “The cut to job seekers allowance for U25s shows the apathy that this government has for young people. The government, if it were serious about introducing some real fairness into our society, would have restored this payment in Budget 2016. He said ‘political analysts and senior people in the establishment parties should not be wondering why a lot of young people are demoralised in spirit and cynical about politics, when they are punished and neglected by this right wing government intent on closing down all their options. “In this region we have thousands of young people in college attaining degrees and excellent qualifications with little options for quality employment where they come from, in fact there are so few jobs for graduates the most are looking to employment abroad, draining the country of its best. “Rather than implement progressive initiatives, this government basically wants young unemployed people to emigrate or act as cheap labour on dubious job activation schemes, while spinning nonsense about bringing workers back from abroad. “We must also remember that this is a government which has failed to decrease student fees during its time in office. This is despite the very vocal protestations of both Fine Gael and the Labour Party, while they were in opposition, to increases in fees.